Whether you’ve lived with diabetes your entire life or you’ve been recently diagnosed, blood tests are essential to help you maintain your blood sugar levels and an overall healthy body. Here’s a basic understanding of how these tests work and the importance of using them to regulate your blood sugar. What are Diabetes Blood Tests? The most common diabetes blood test is the A1C test, which provides information about the average levels of blood glucose (or blood sugar) in an individual from the past 3 months. It is the primary test used for diabetes management and research. An A1C test is based on how well the glucose attaches to hemoglobin, the protein in your blood cells that carries oxygen. This is recorded as a percentage. The higher the percentage, the higher the blood glucose levels have been for the past 3 months. A healthy percentage to have is below 5.7%. Who Needs to Take Blood Tests? What Other Diabetes Tests Are There? If you have been determined by a doctor to have or risk having diabetes, there are two other diabetes tests, in addition to the A1C test, that a medical professional or doctor can administer to learn more about how your body is processing glucose. Your optometrist can perform this test by dilating your pupils, or widening them with drops, to check for signs of diabetic retinopathy. This can result when high blood sugar damages the blood vessels in the retina of your eye, resulting in blurred vision, severely damaged retinas, vision impairment, or blindness. Diabetes can cause nerve damage and poor blood circulation to the feet that can make it difficult for your body to fight off infection — and in more severe cases can result in amputation. Conducting a foot exam both at home and having a medical professional conduct a more thorough one can help reduce the risk of foot problems. 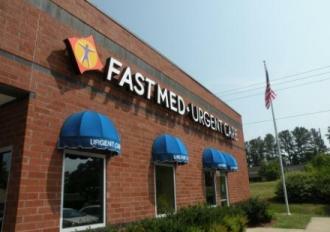 At FastMed Urgent Care, we are available day and night to help you manage your diabetes. We offer all essential tests for eyes, feet, and blood to ensure you’re staying on top of your health. Stop by one of our convenient walk-in centers today to meet with one of our skilled medical professionals.